pediatrics and women’s serving Northeast Texas. Carevide is endorsed as a patient-centered medical home. 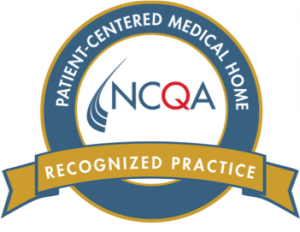 All five medical sites at Carevide are recognized as a Level Two Patient Centered Medical Home by The National Committee for Quality Assurance (NCQA). NCQA is a private, non-profit organization dedicated to improving health care quality. NCQA accredits and certifies a wide range of health care organizations including hospitals, clinics and insurance companies. To earn a Level Two recognition, a practice must score high marks in NCQA’s nine elements of quality care. Some of the elements are: access and communication, patient self-management and disease management support, continuous quality improvement, care coordination and team based care. with continuity of care, Class D pharmacies, health education, social services, eligibility services, and translation services available. We accept Private Insurance, Medicaid, Medicare, CHIP, and uninsured patients on sliding fee discount based on family size and income. Our medical, dental, pediatric and women’s services are all provided by licensed professionals with a heart for serving you. Health Centers are available in five counties for your needs. General and Pediatric Dentistry, serving patients in Greenville, TX. Our Pediatric Center is accepting new patients and has extended hours. Schedule your next well-woman or prenatal exam today at Carevide Women’s.